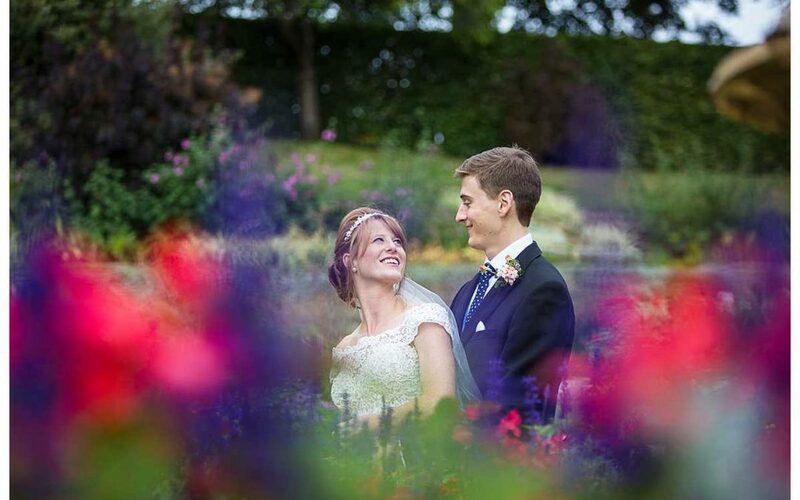 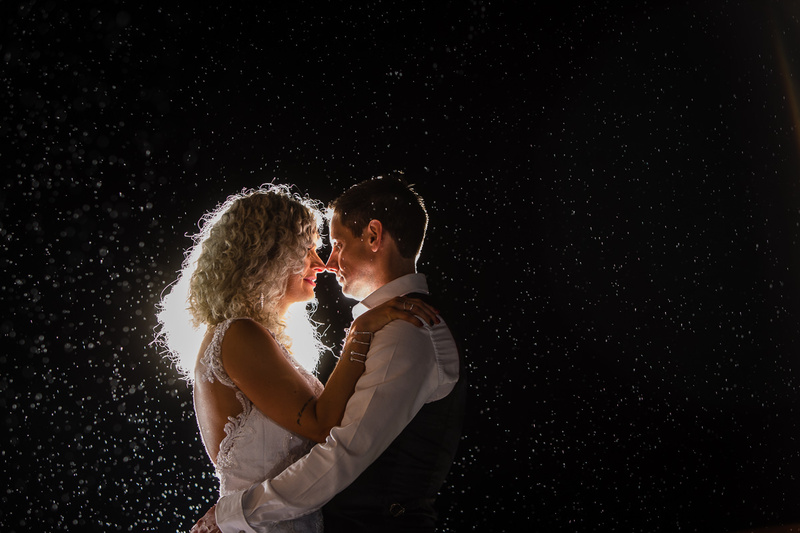 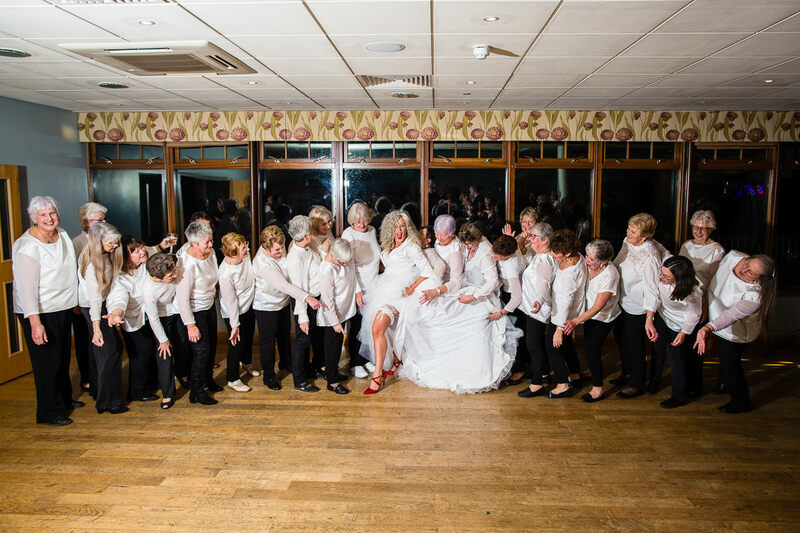 This was a super wedding to photograph! 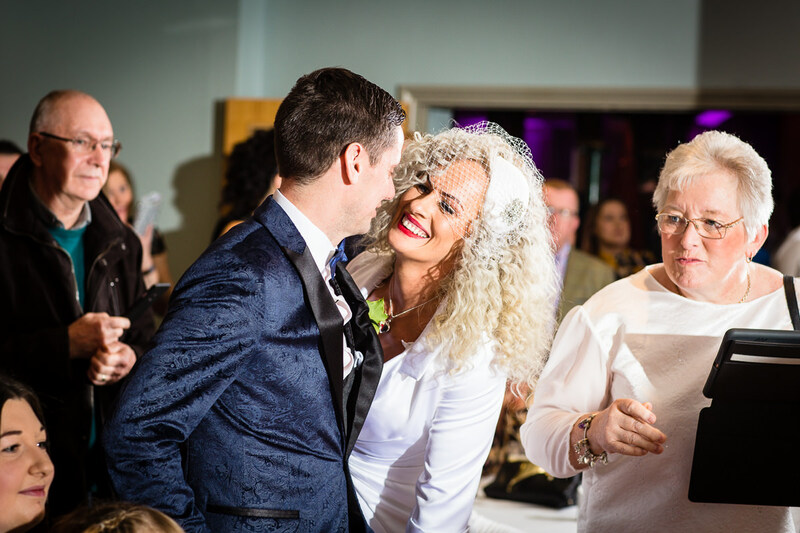 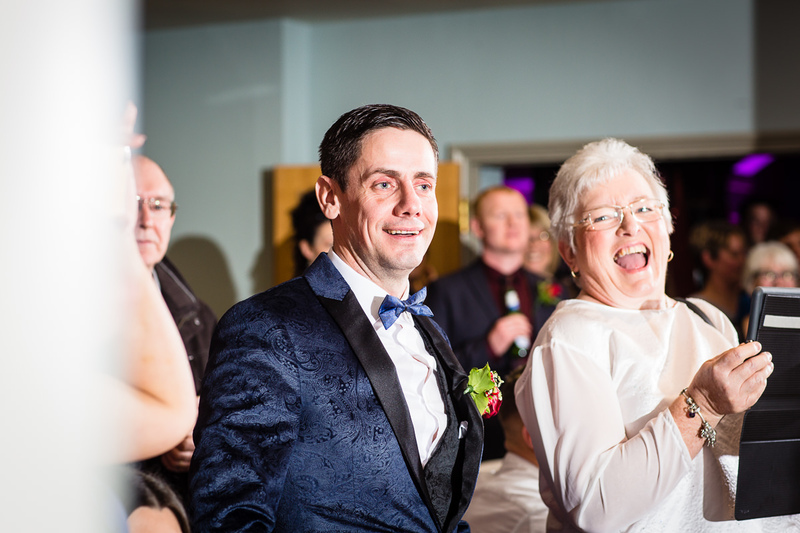 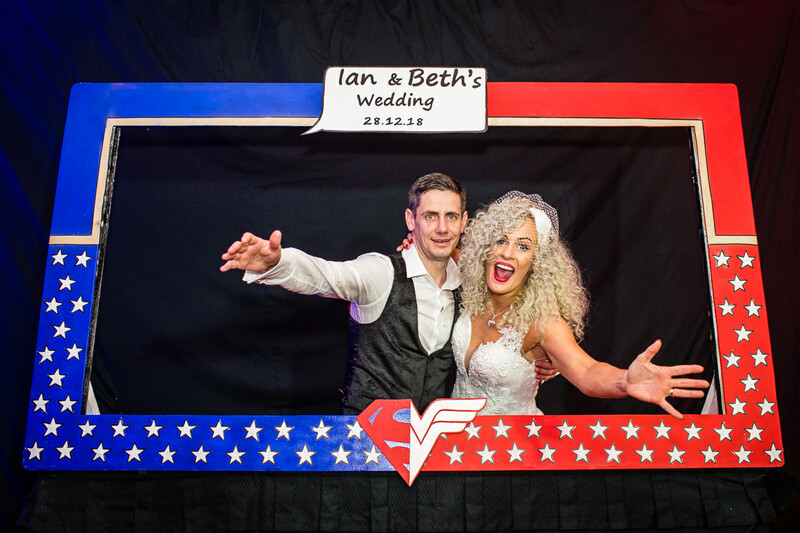 Beth and Ian got married in the day and I photographed their evening reception at the Lake Vyrnwy Hotel. 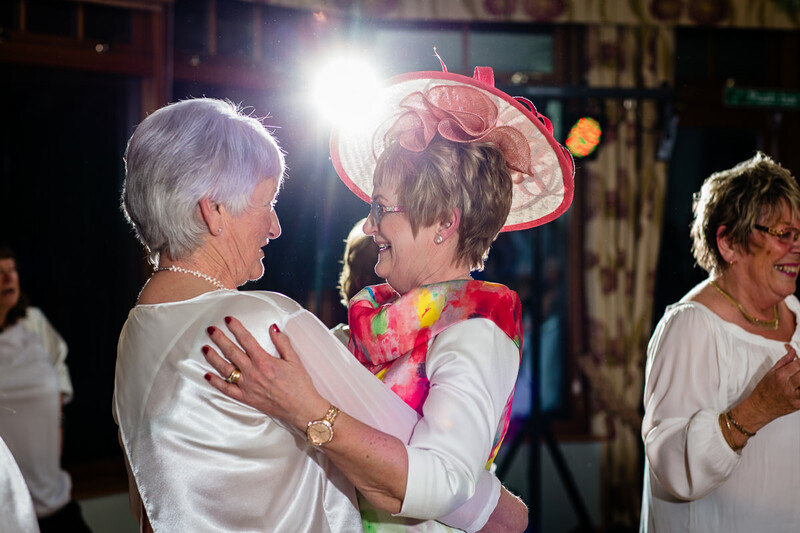 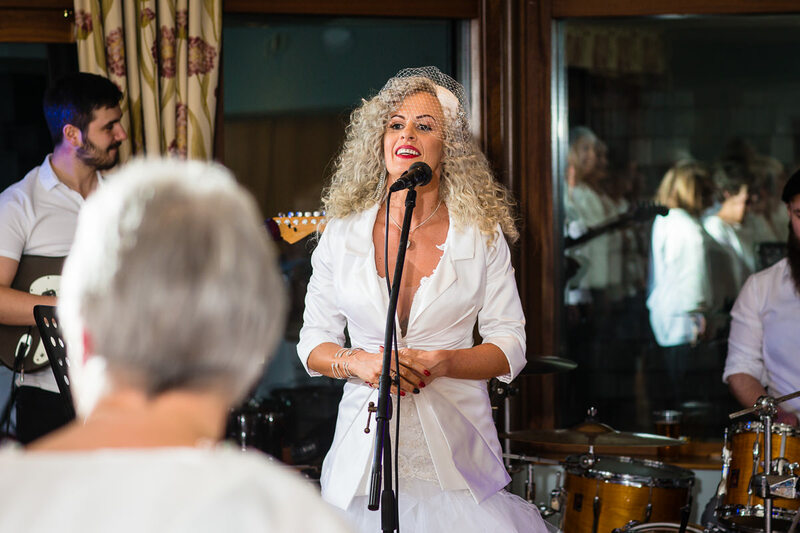 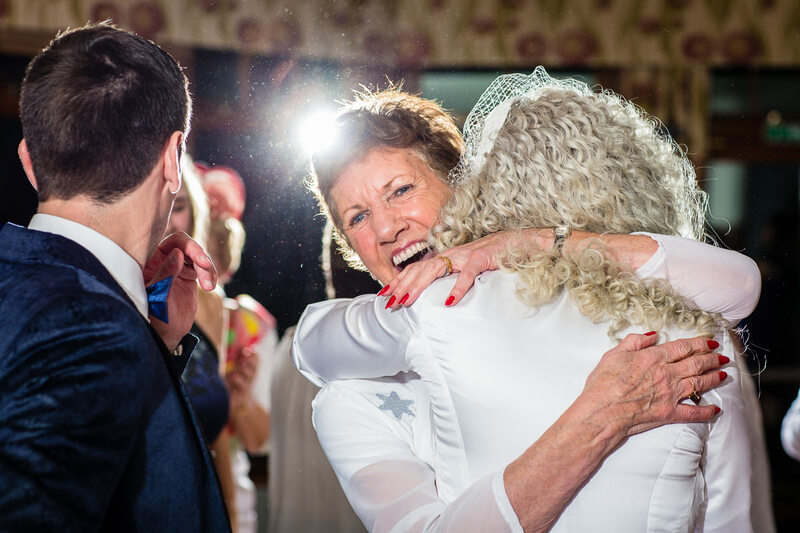 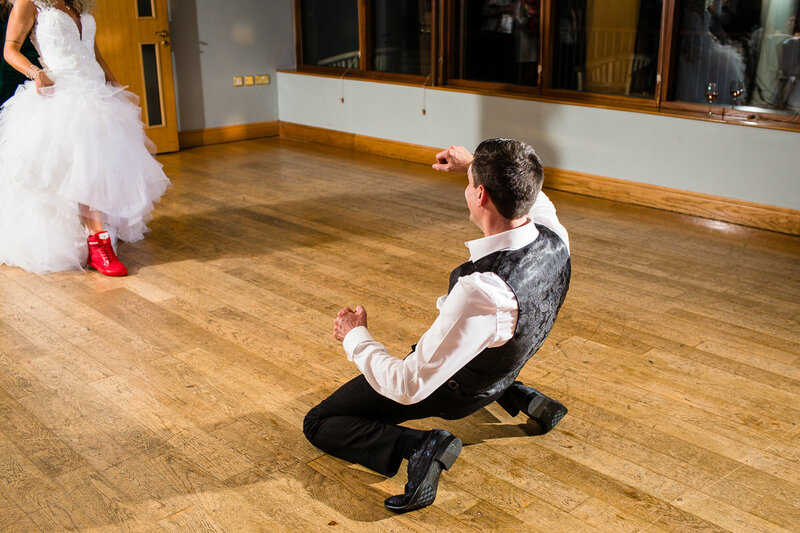 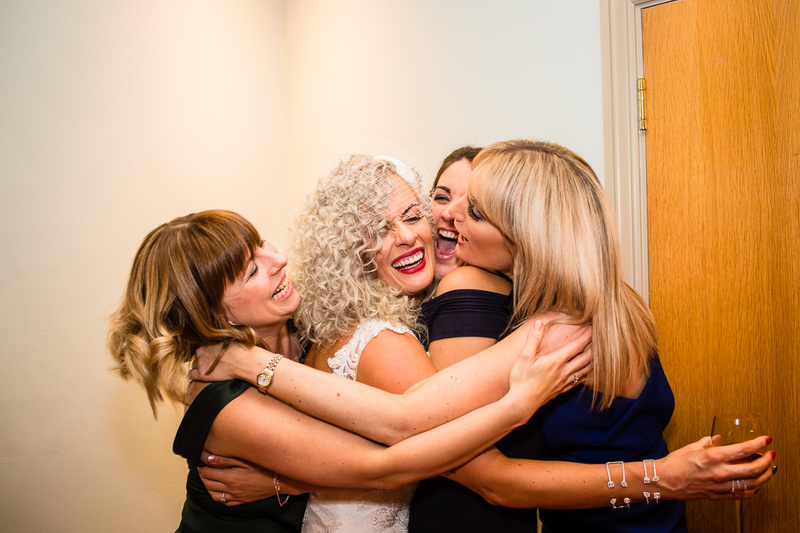 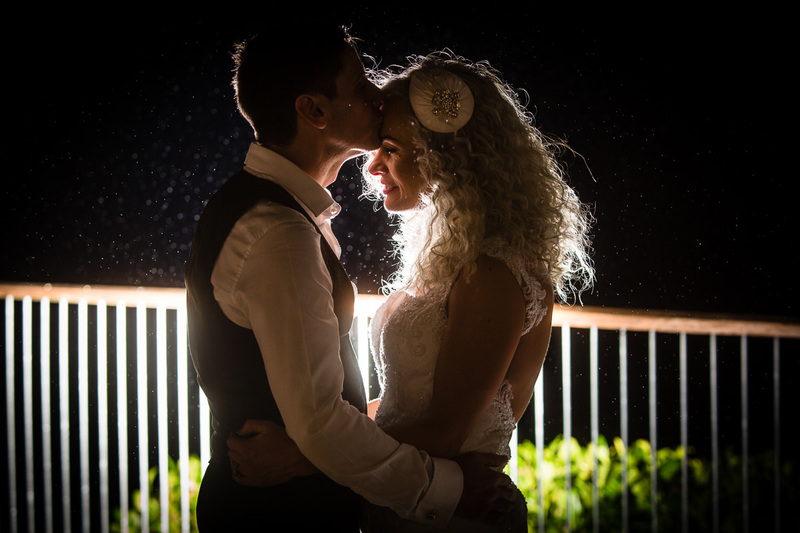 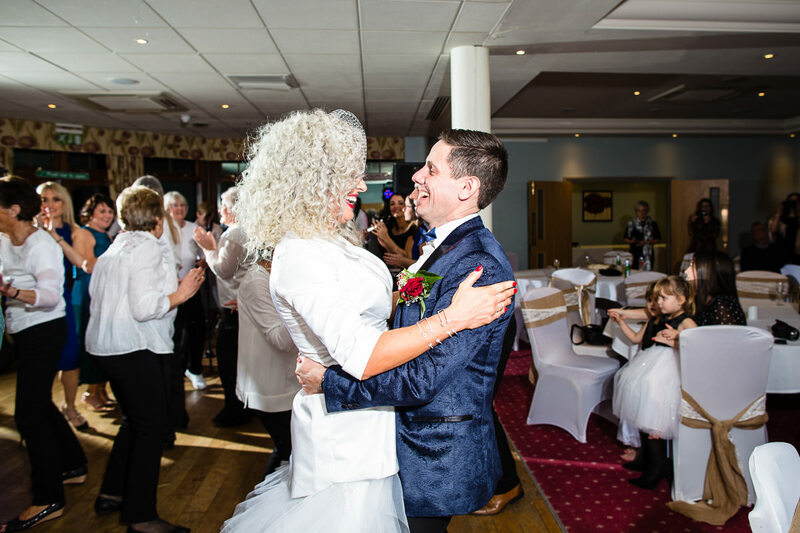 It is my first time to this wonderful venue as a Lake Vyrnwy Hotel Wedding Photographer. 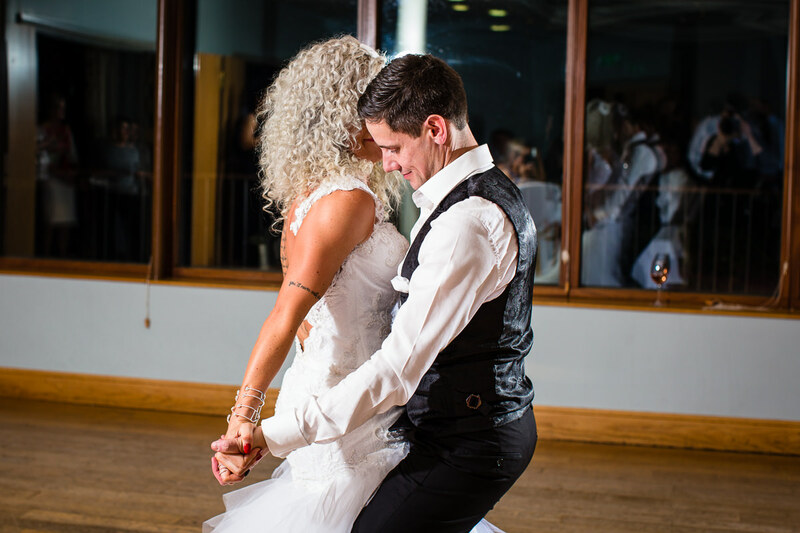 Beth is a personal trainer and dance teacher. 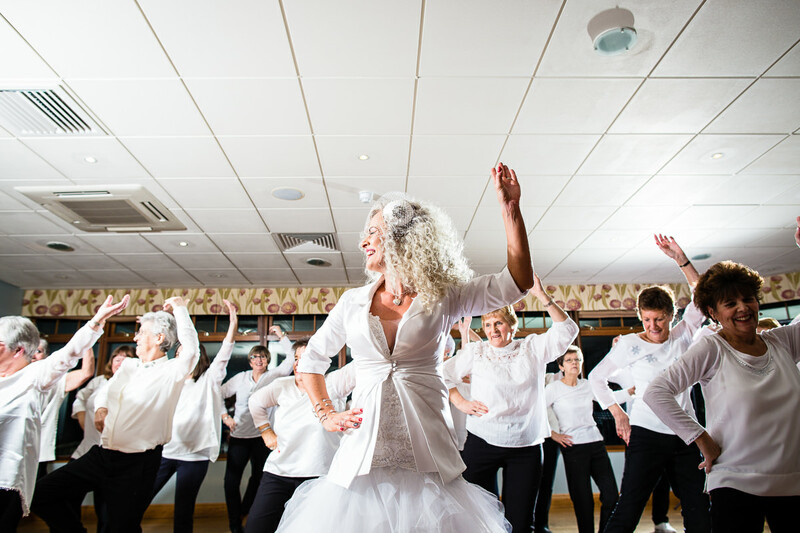 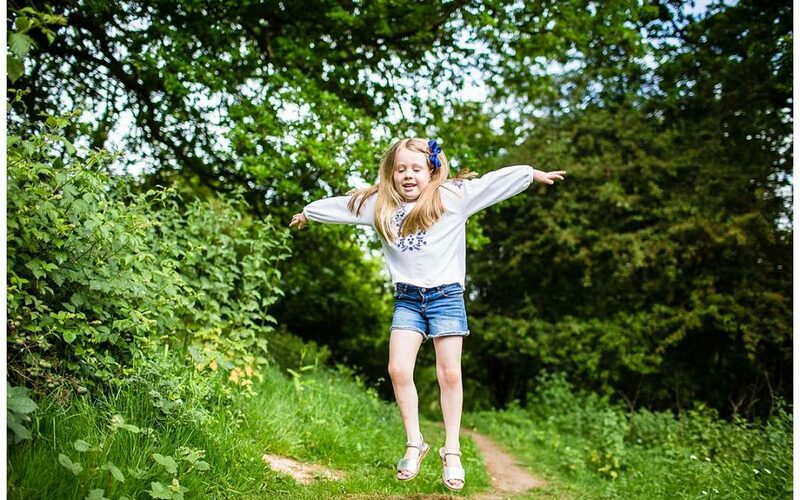 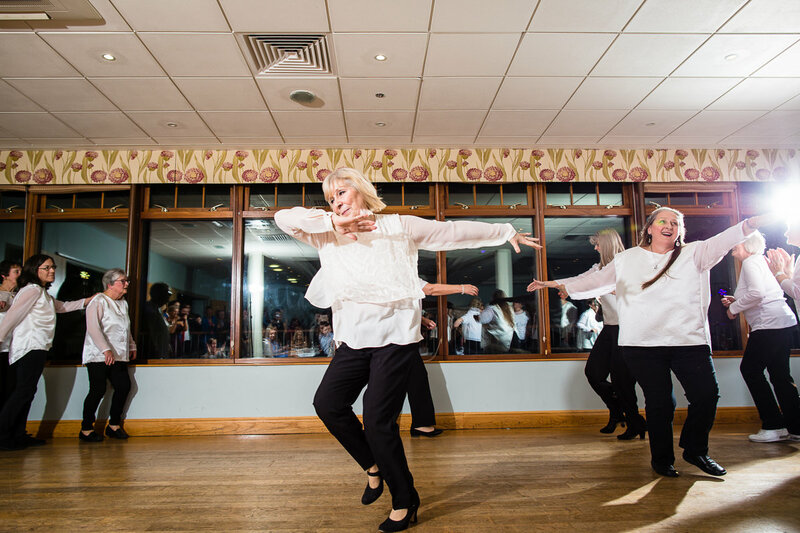 Unknown to Ian, Beth had choreographed a couple of dance routines with one of her classes. 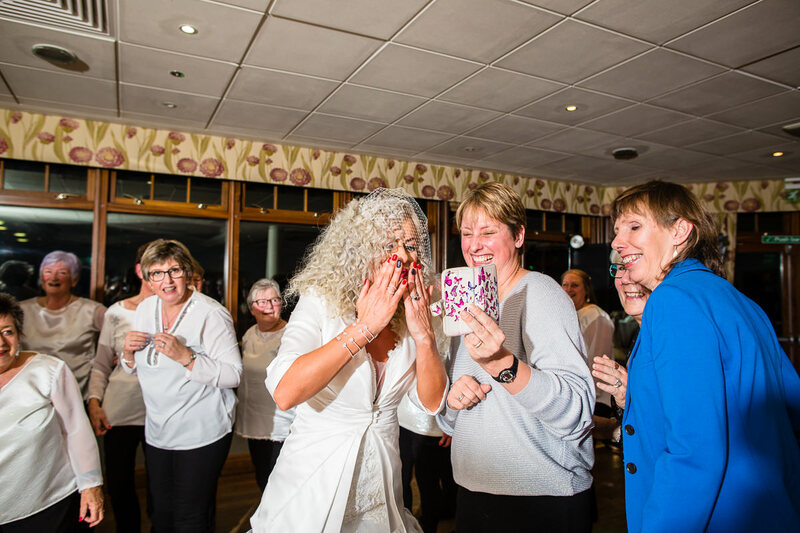 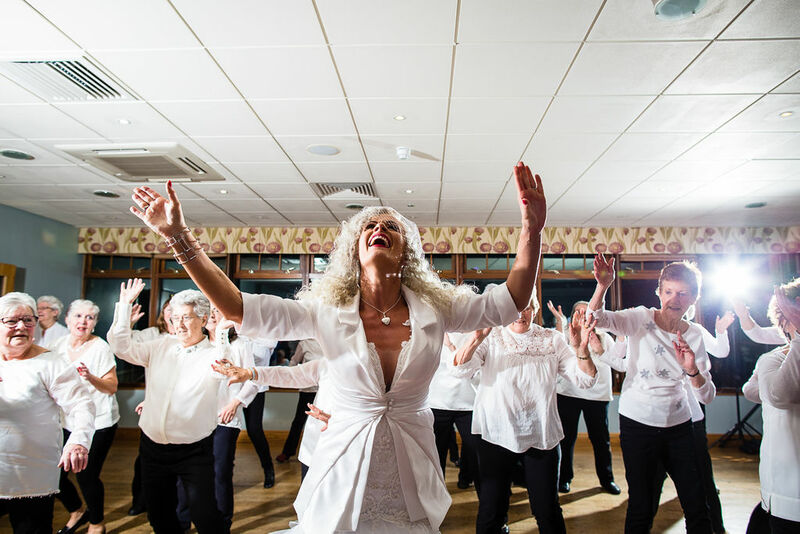 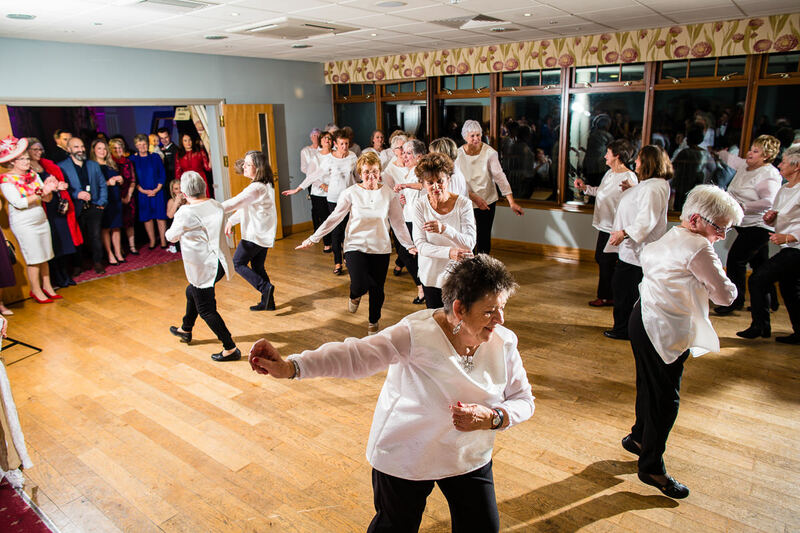 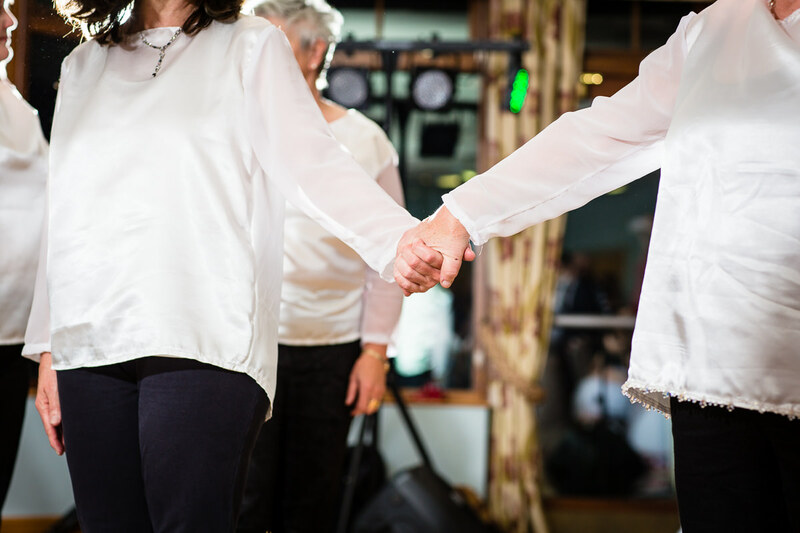 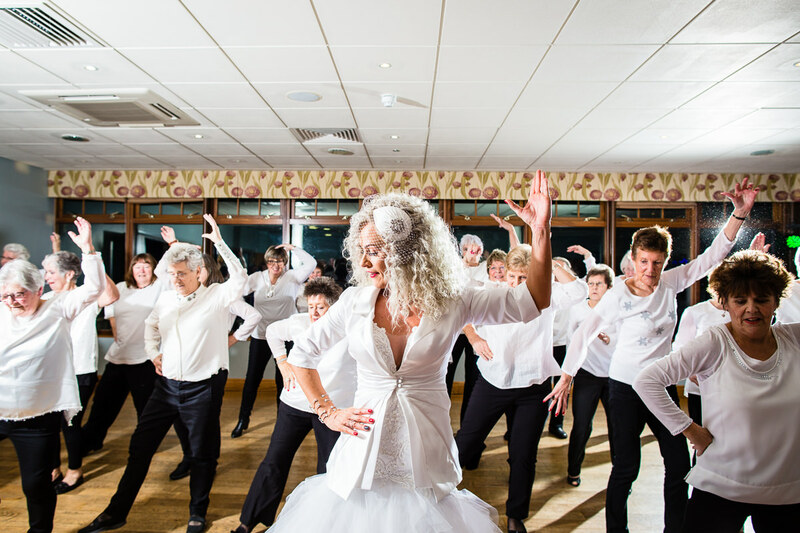 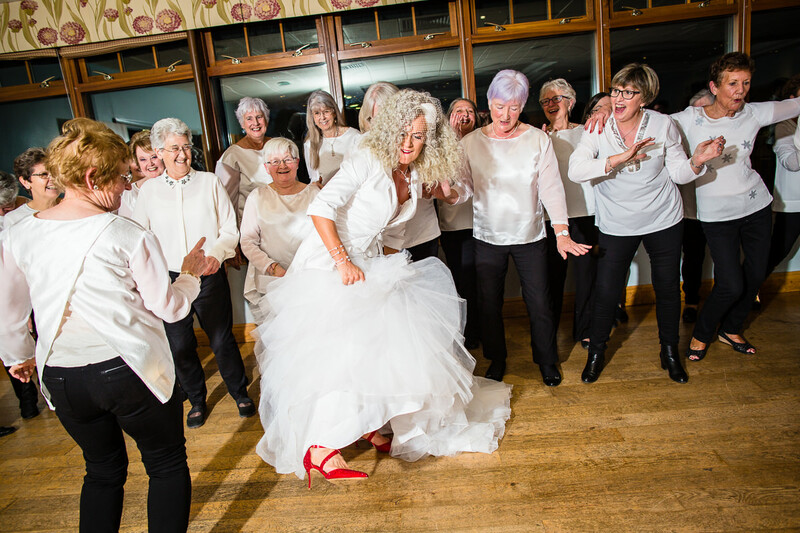 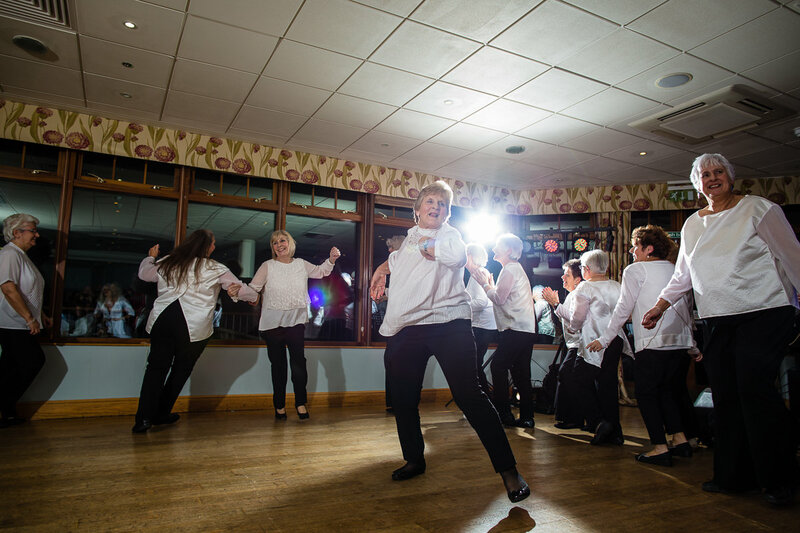 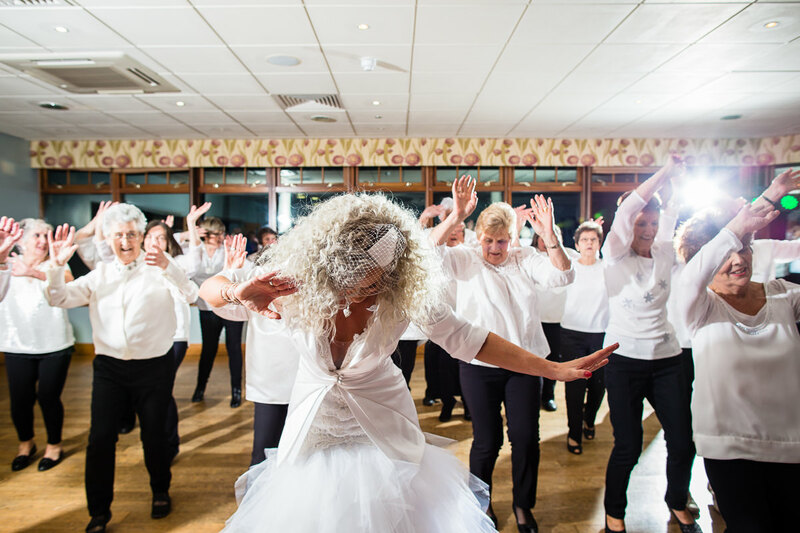 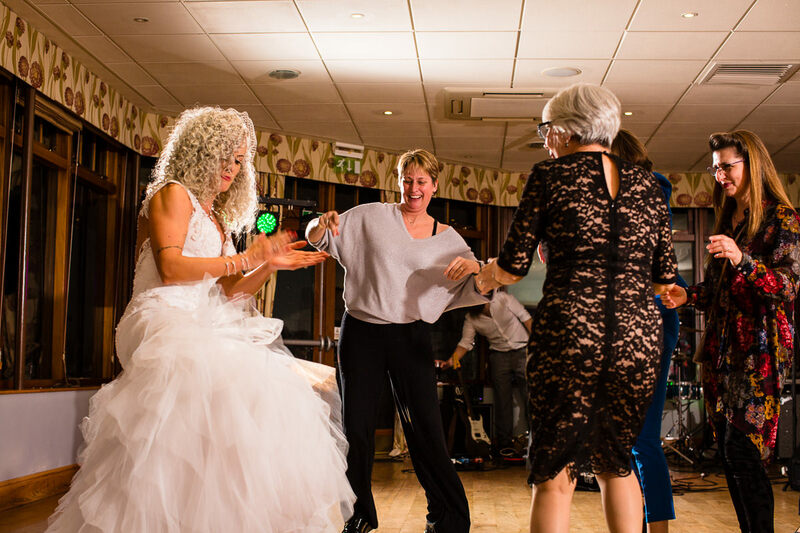 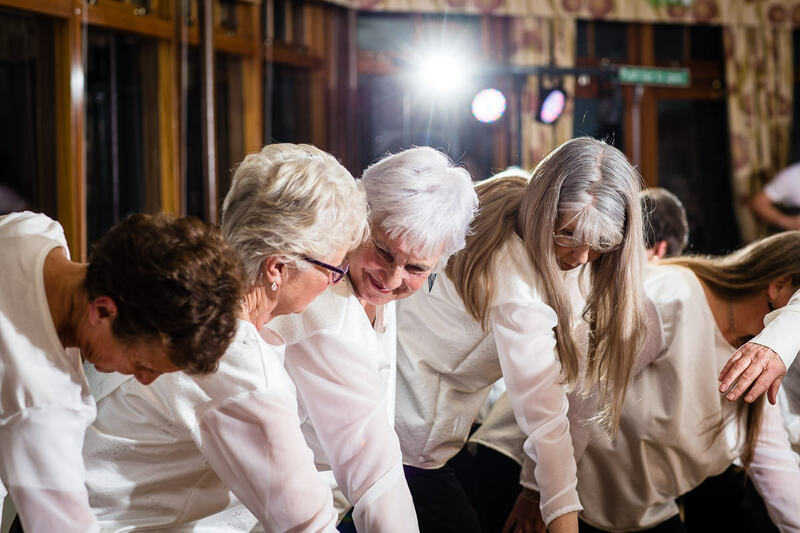 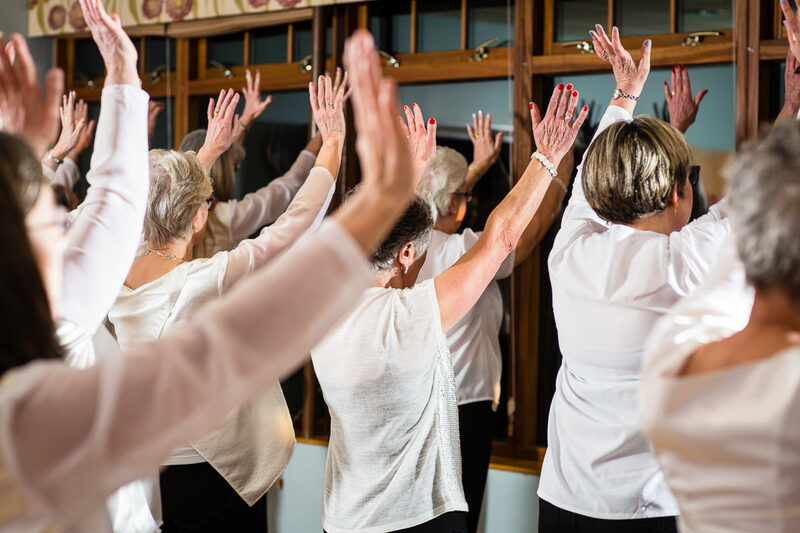 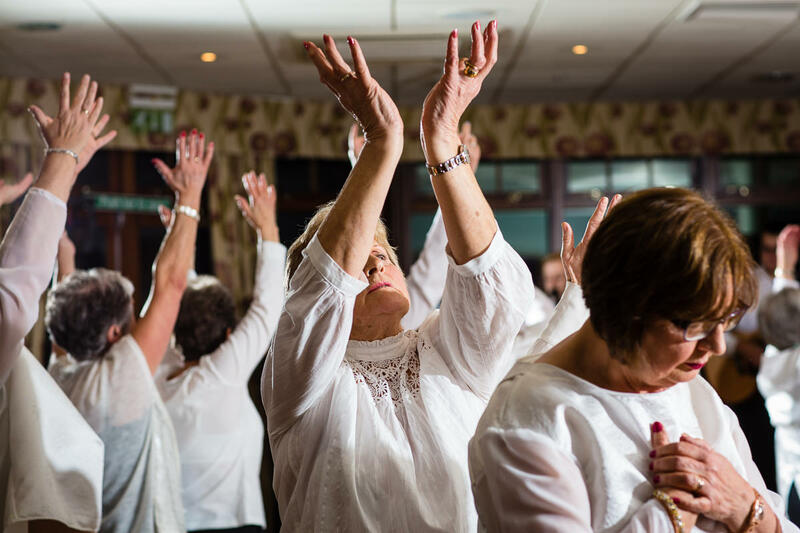 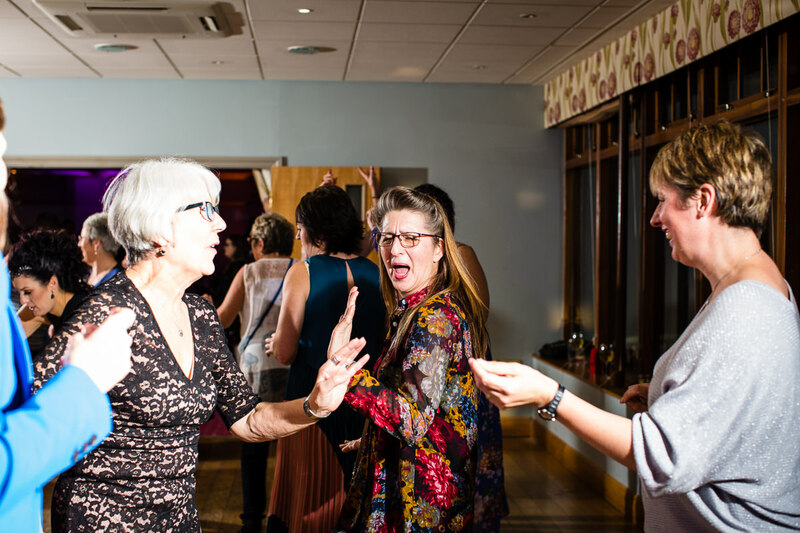 The ladies were invited as guests and to kick off the evening celebrations they performed a dance routine! 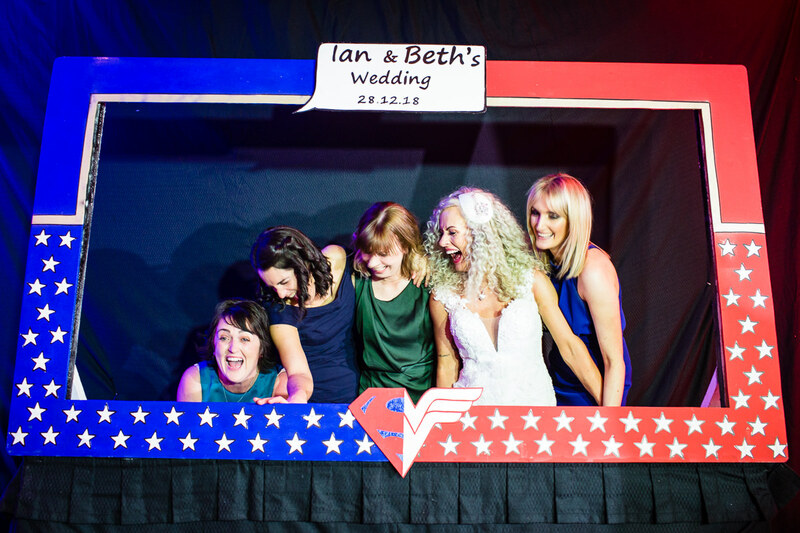 Beth joined in for the next song which was just ace to capture! 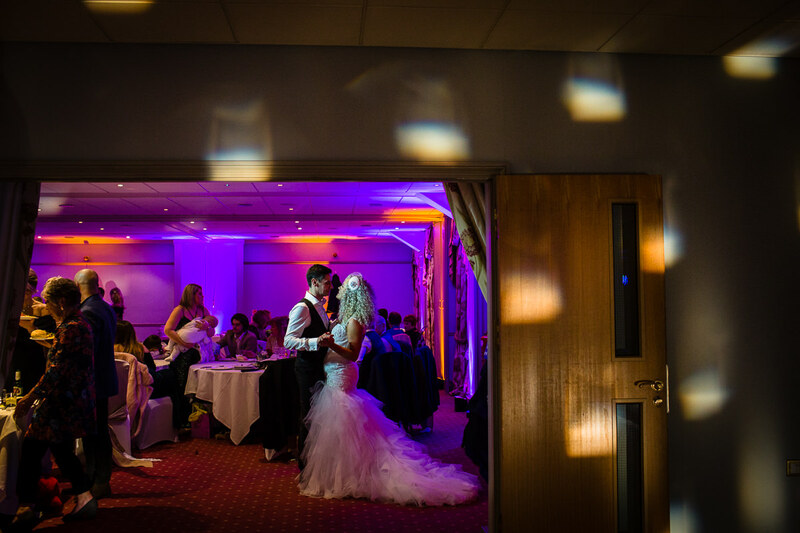 After a cracking start to the evening celebrations, everyone continued to have a smashing evening! 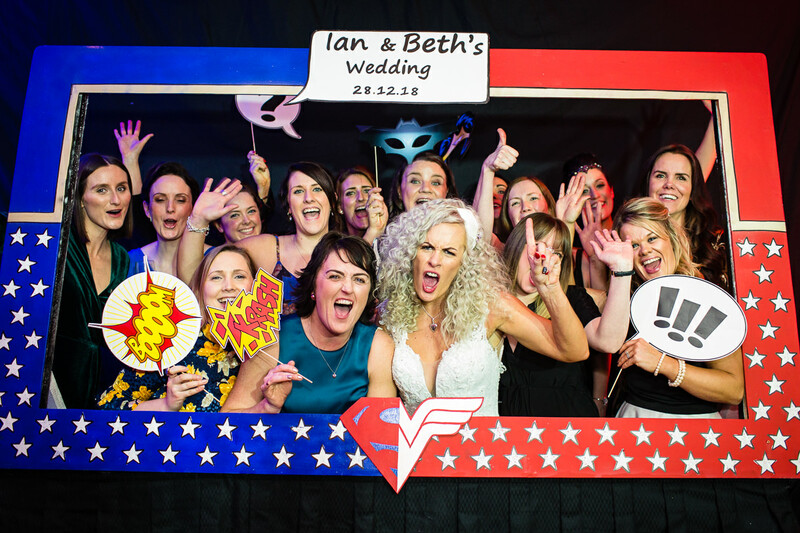 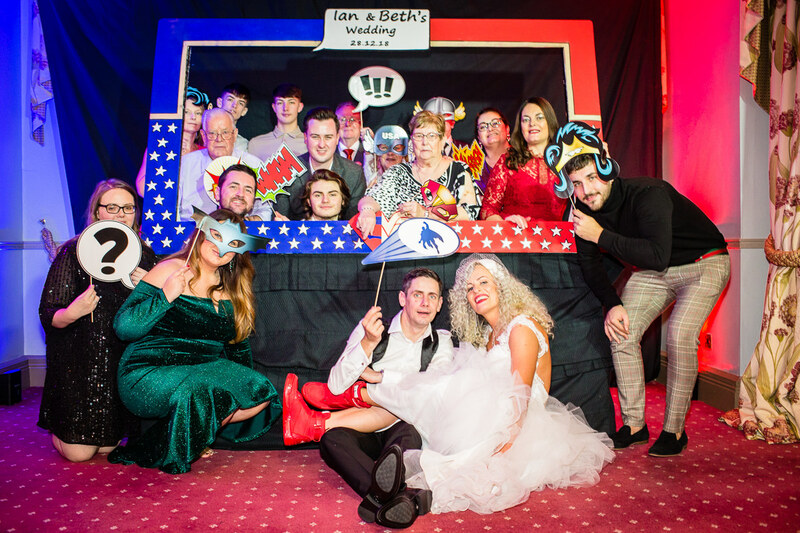 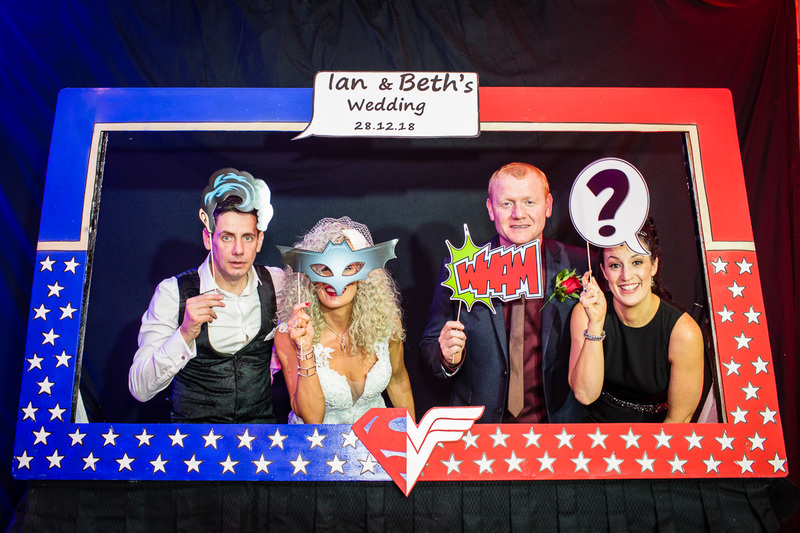 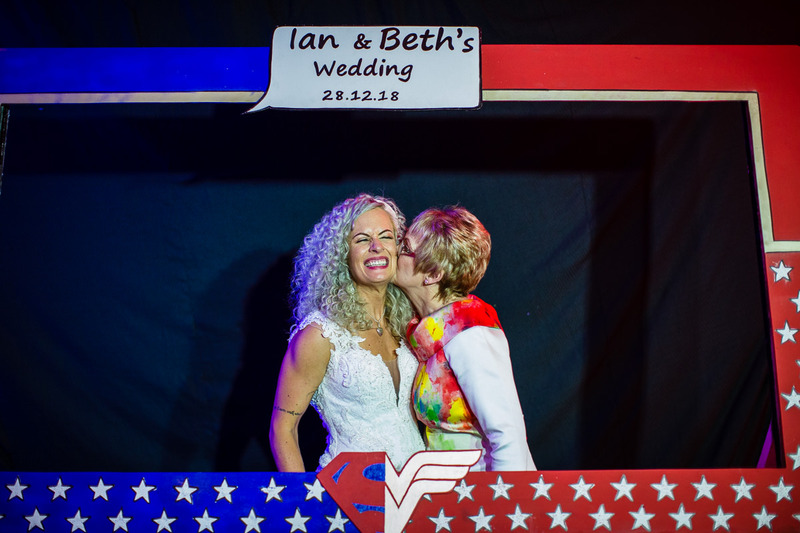 Beth and Ian's friends made a superhero photo booth for them which looked ace and attracted many guests. 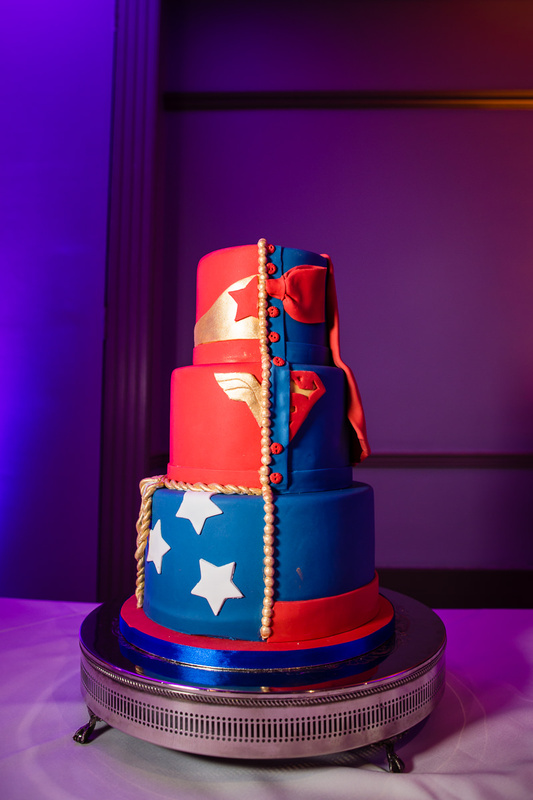 Their wedding cake fitted in with their theme too! 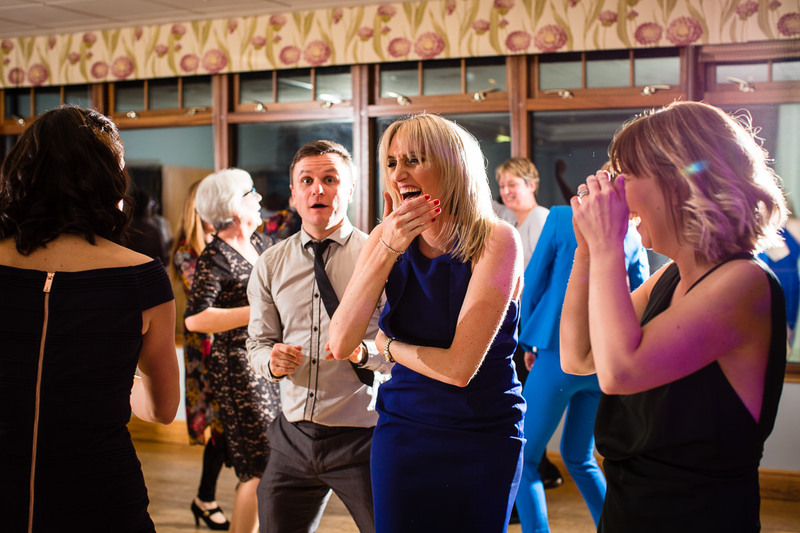 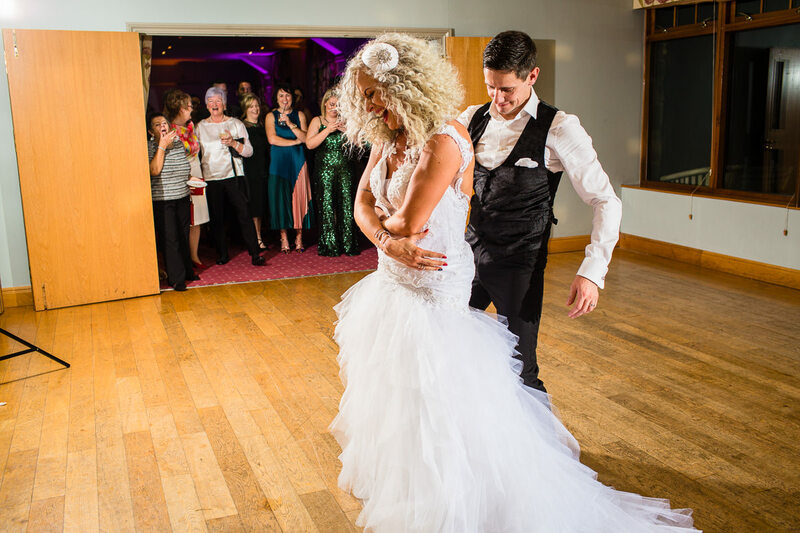 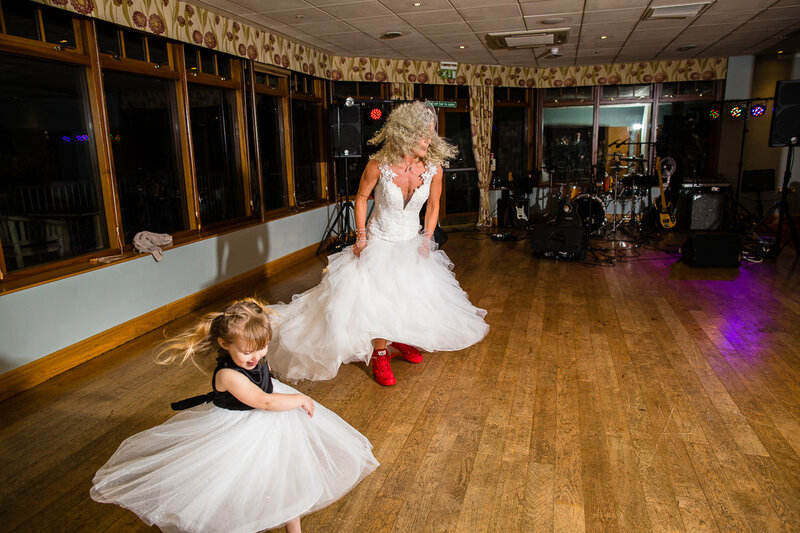 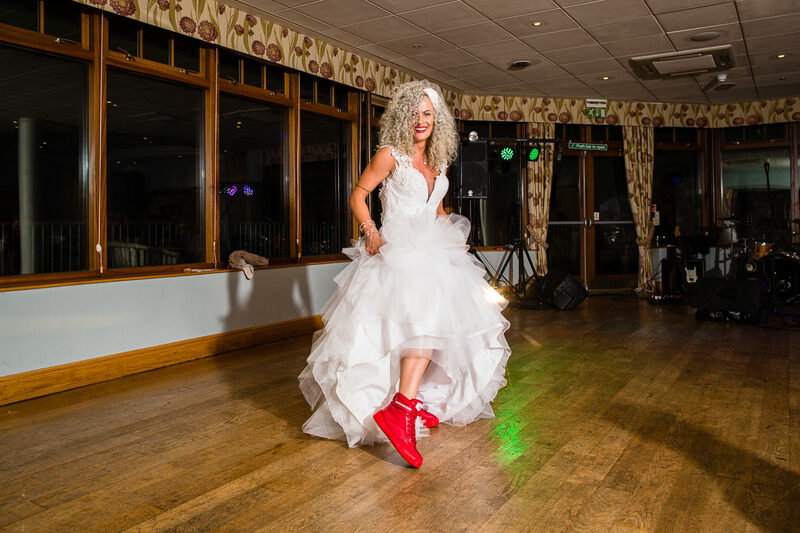 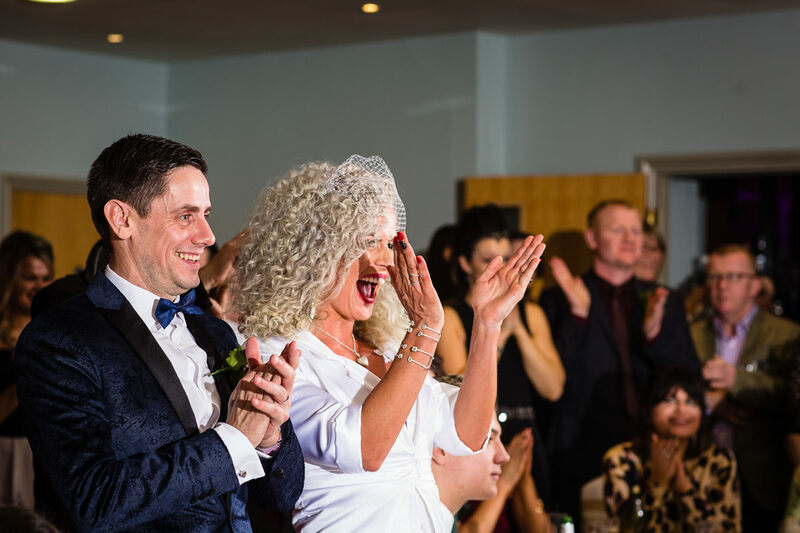 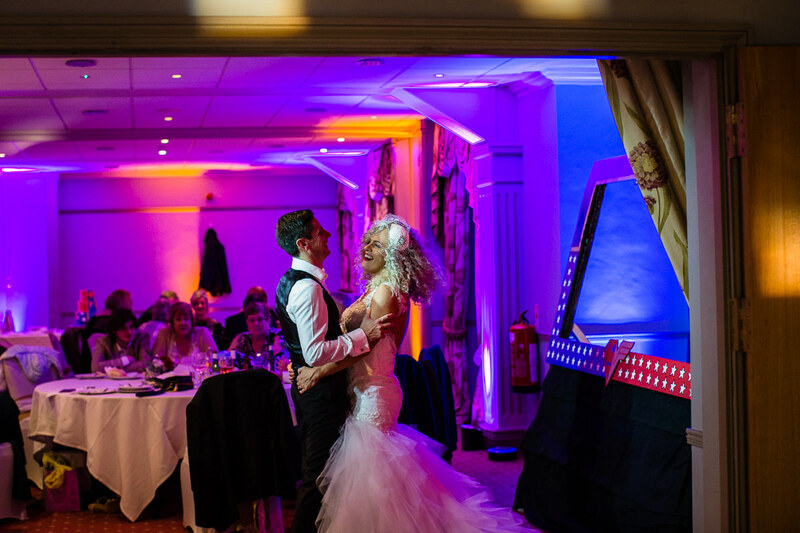 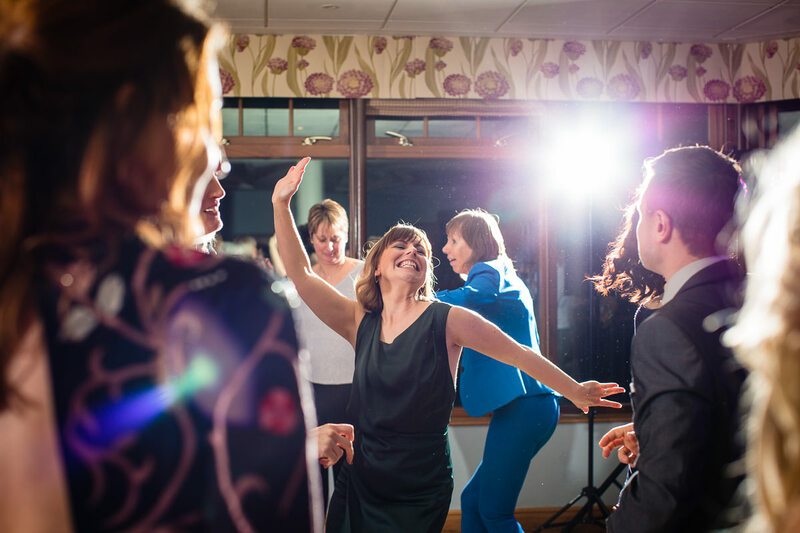 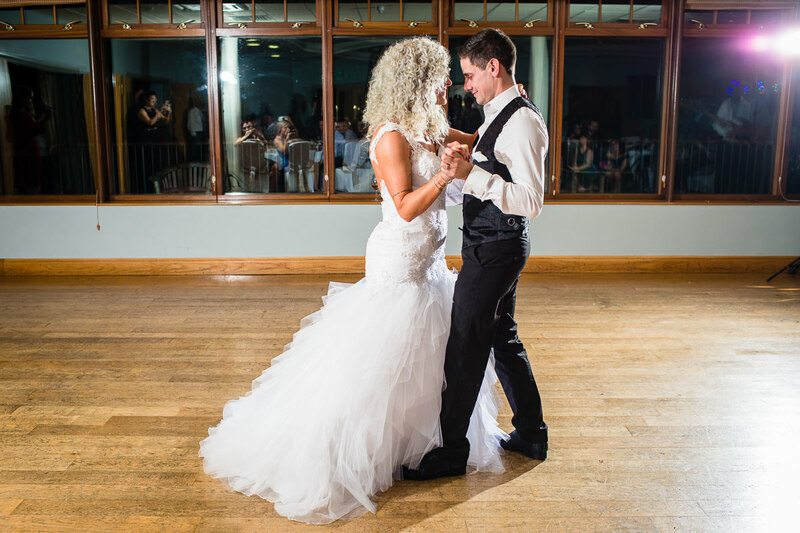 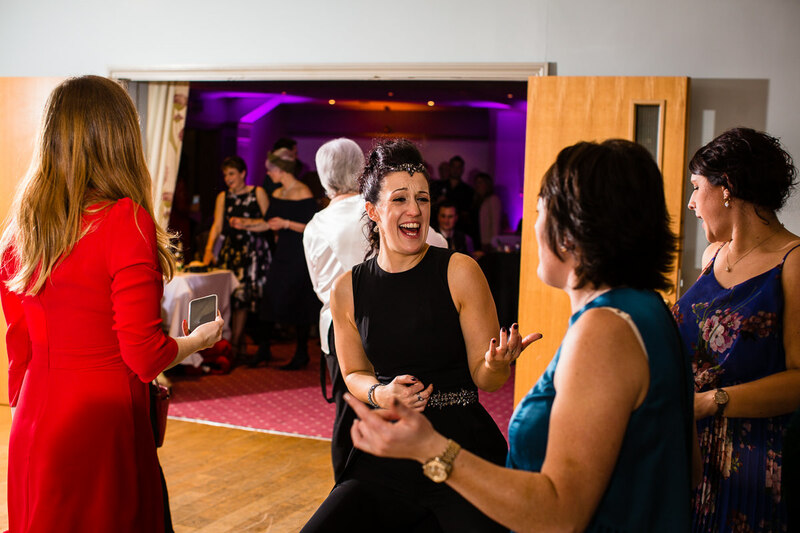 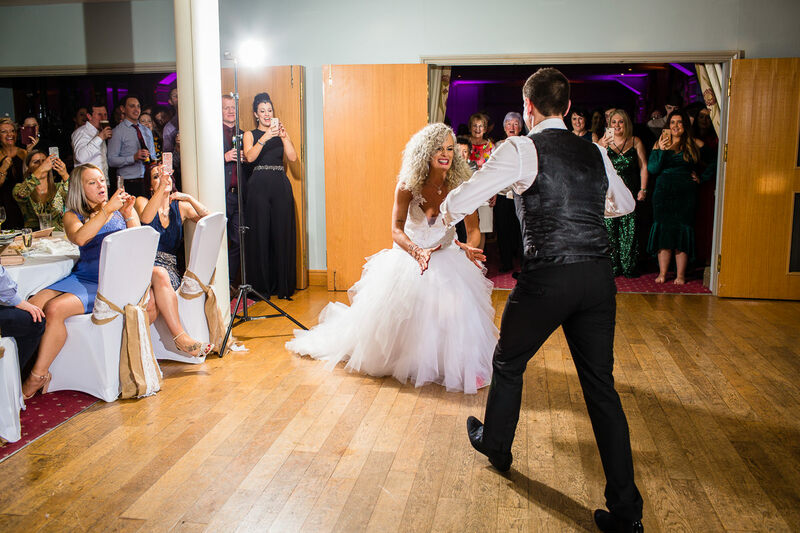 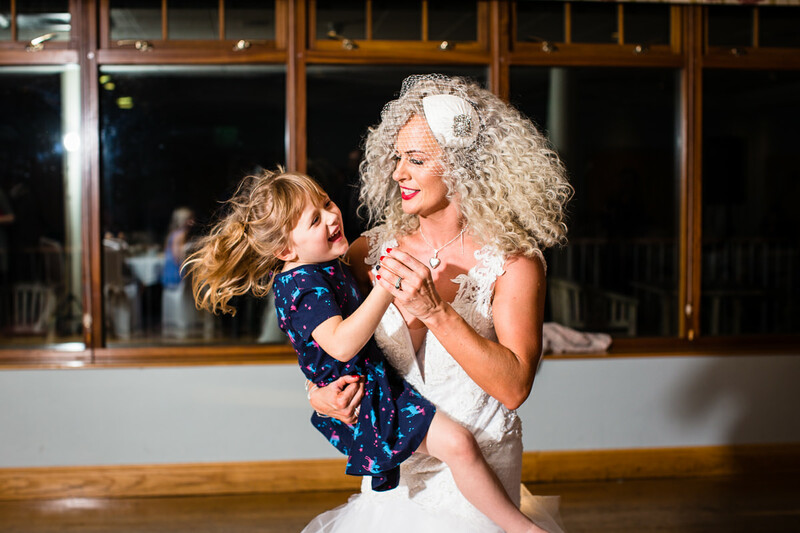 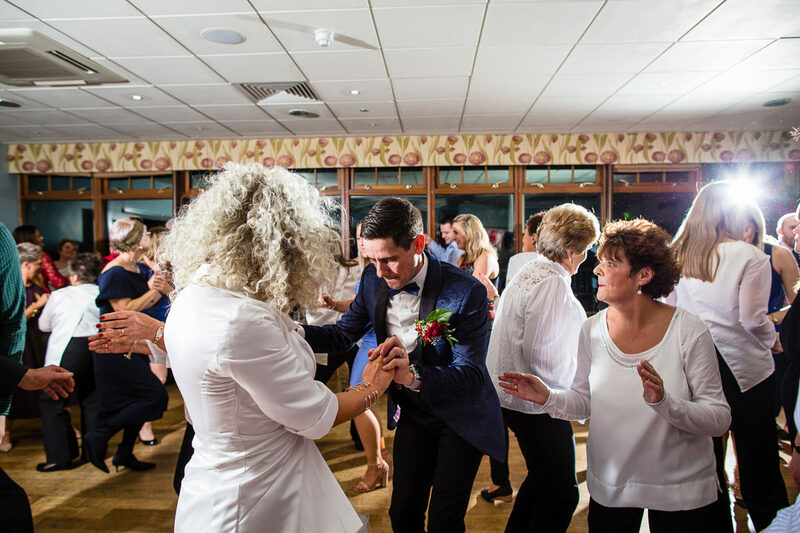 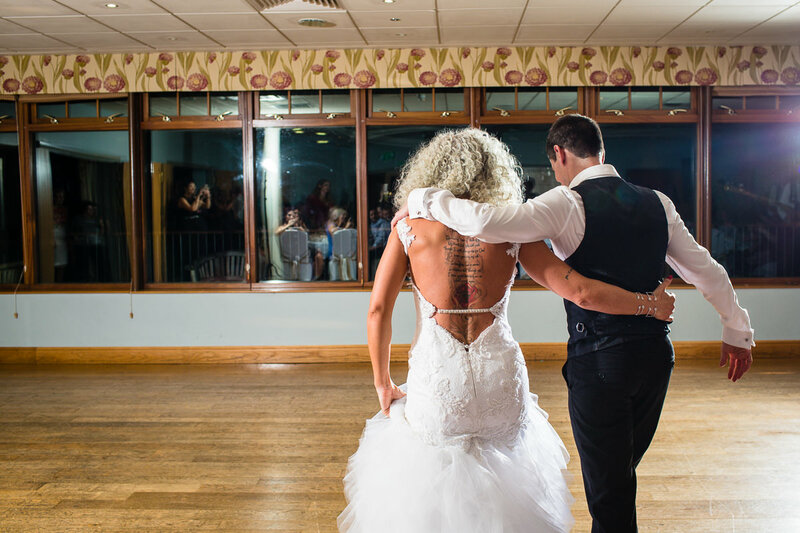 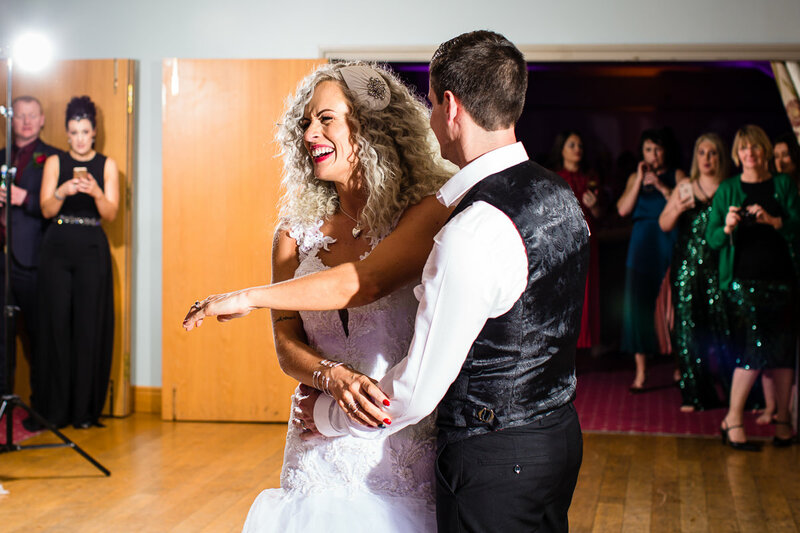 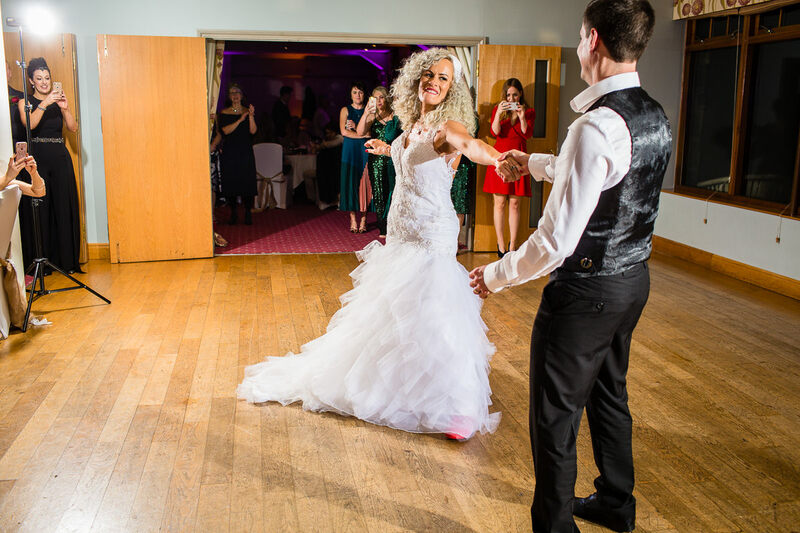 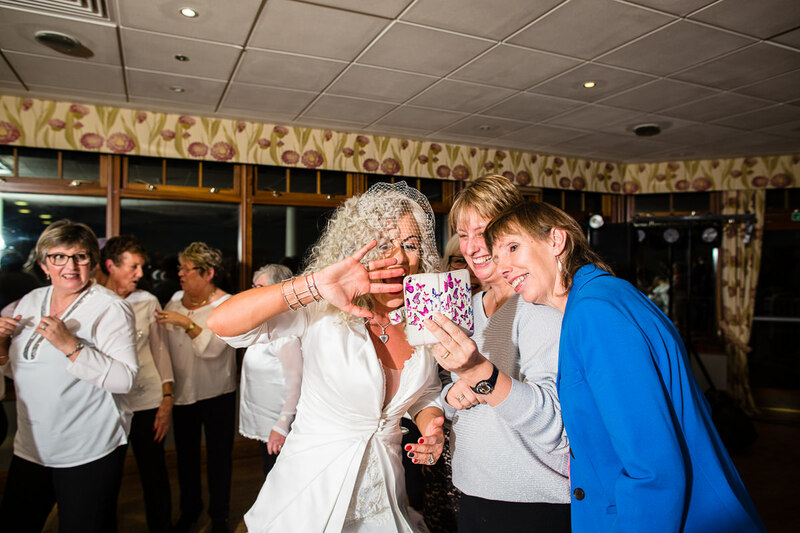 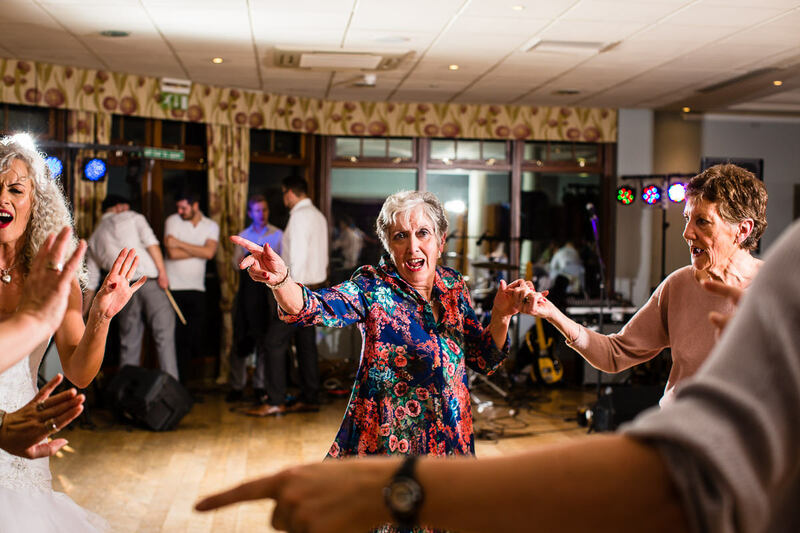 Beth and Ian had told all their guests there was no way they were doing a first dance either, but the surprises continued to come and they danced to "Dirty Dancing" that evening which was very entertaining! 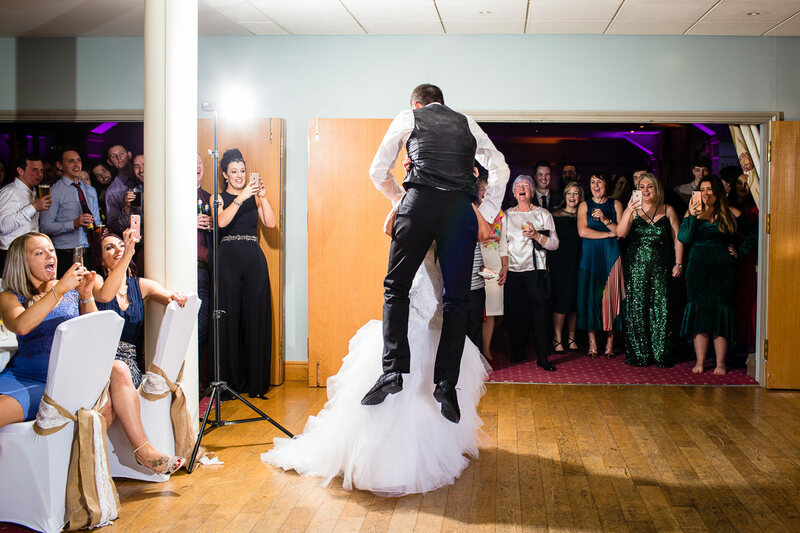 I loved their huour as Beth went to lift Ian as Patrick Swayze does in the famous film!